Youth Group Malawi update . 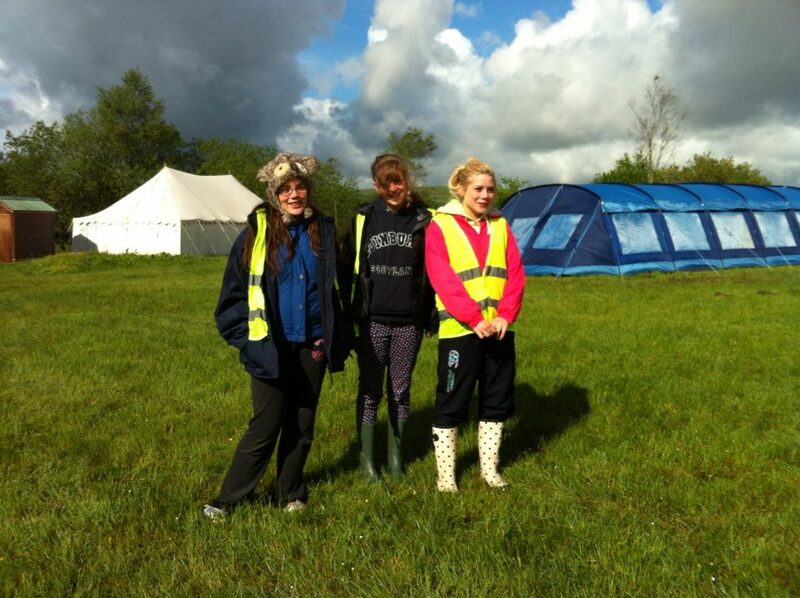 . .
It’s not long now until some of the Youth Group along with Ruth and Lois are off to Malawi, a week in fact. Last weekend they traveled down to the tip of the Kintyre peninsula, Southend, to visit Steve and Chris Fulcher at their new parish. As you can see the weather was not great, however that did not detract in the slightest from the enjoyment of the weekend. 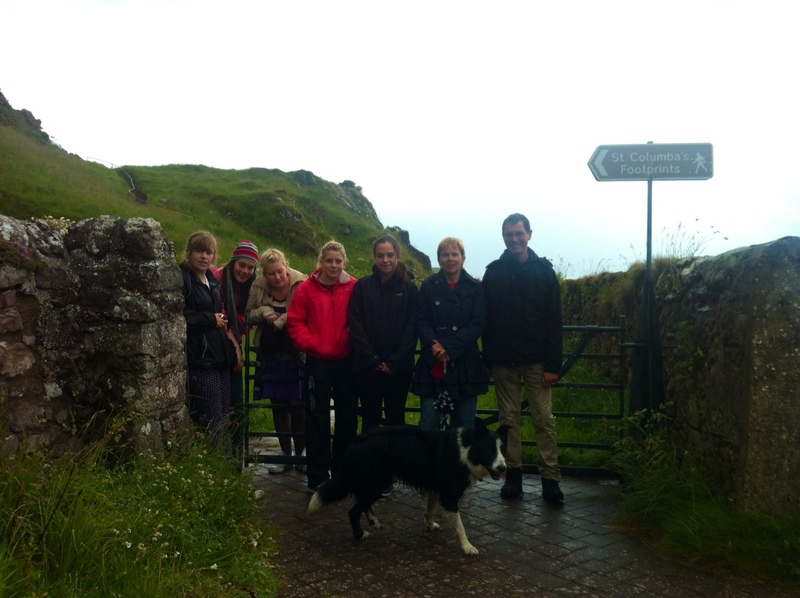 They had a good long walk on Saturday afternoon with Steve and Alfie, visiting St Columba’s footprints, where Columba supposedly first landed in Scotland on his way to Iona. 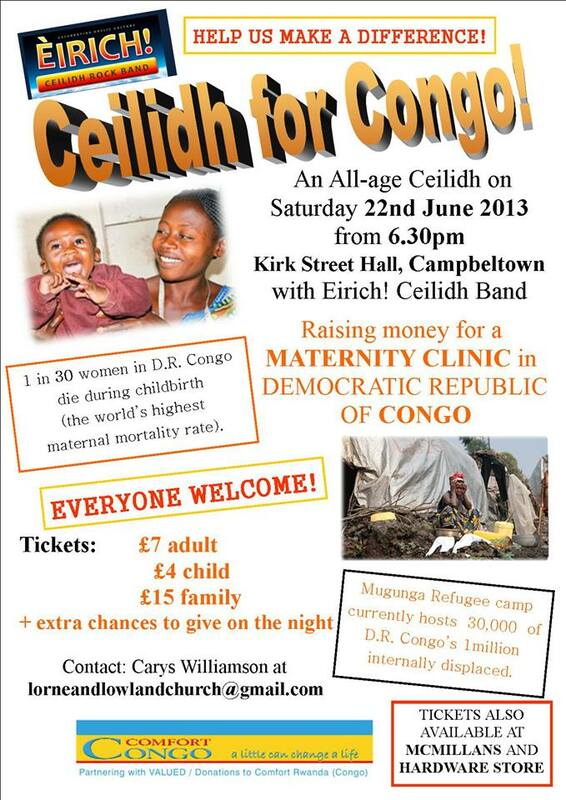 In the evening they went to a ceilidh in Campbeltown which was a fundraiser for the Congo. Sunday was a Christening service at Southend Parish Church, and the young people did a drama about belonging, and Ruth and Chris played the guitar. 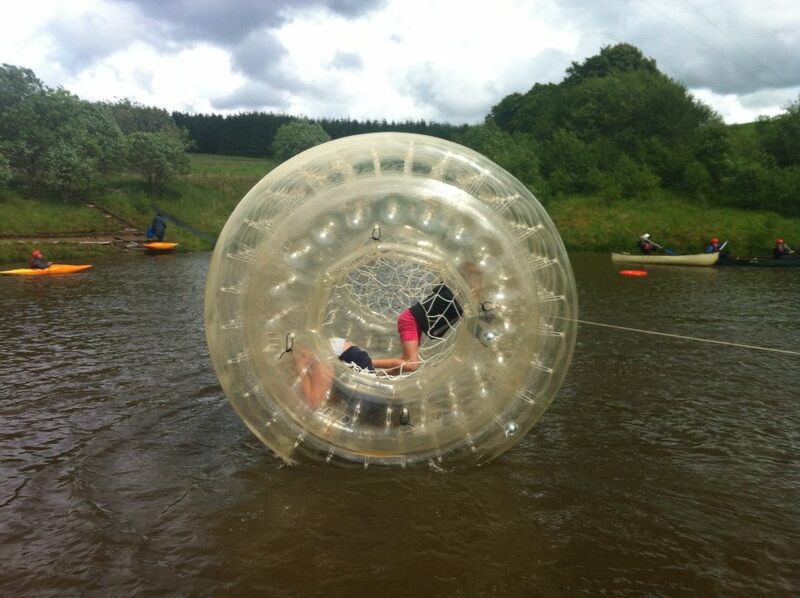 Last weekend some of the members of the Youth Group, Sunday School and Cool Club attended Spree in the Borders up at Whitaugh Park in Newcastleton. 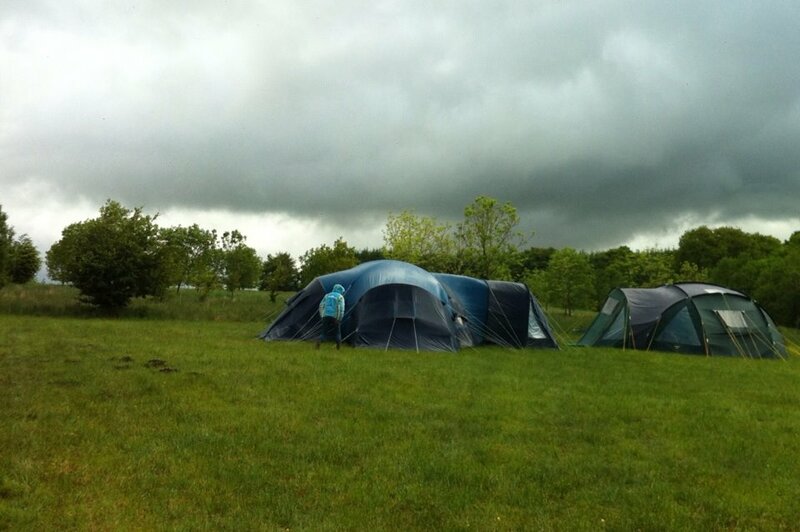 We camped on the field in two large tents. The weather was variable, we put the tents up in good weather, then on Friday evening we had showers which continued throughout Saturday, but Sunday the sun came out and we all dried out nicely. 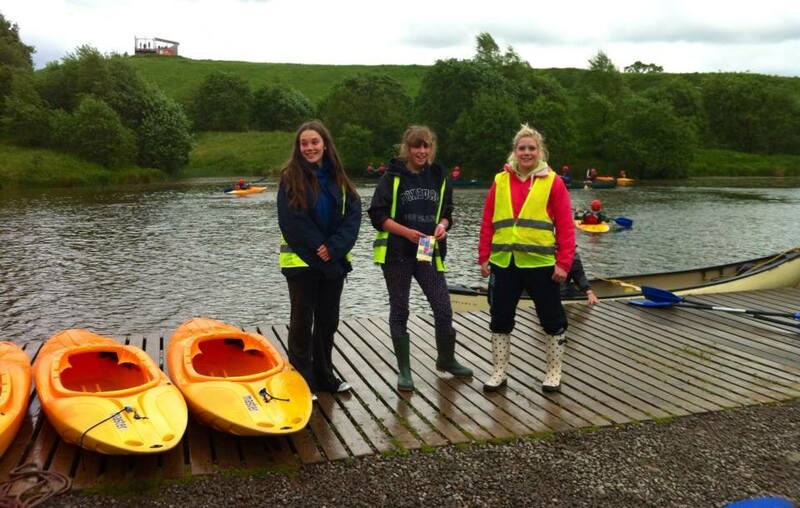 Lucy, Lizzie and Alice, Youth Group members, were volunteering as Event Crew and were very busy, mostly down at the lake launching boats! 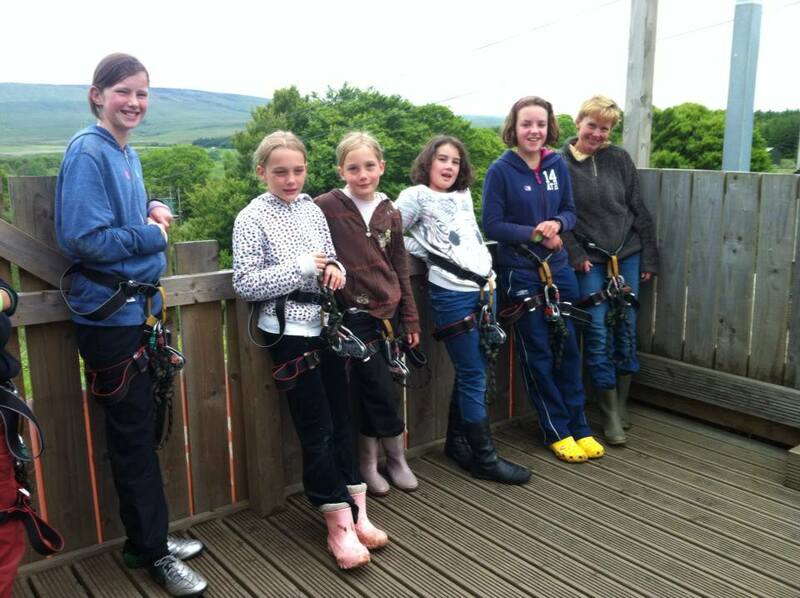 Here are some of the younger members of our group, at the top of the zip wire waiting their turn to go down. it’s a long way down, over the lake and through the trees to the bottom. 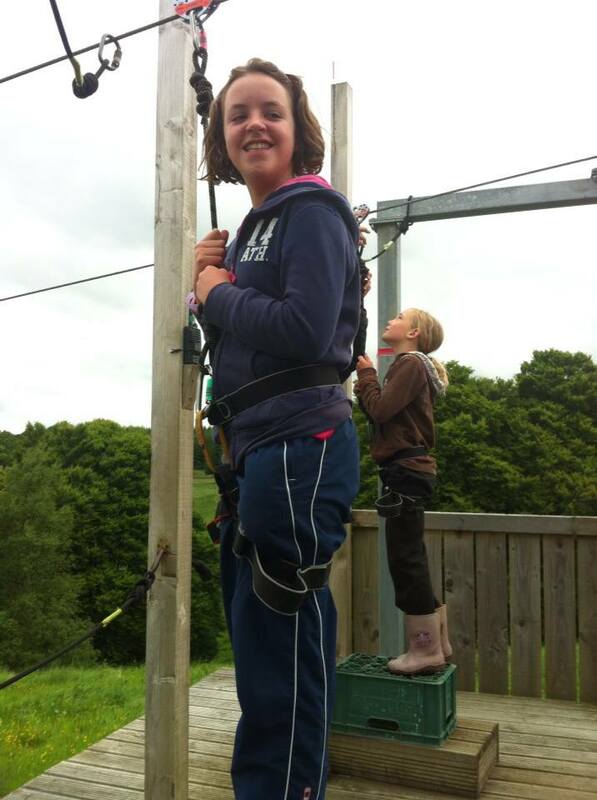 canoeing, the climbing wall and abseiling, swimming, sumo wrestling, giant games, gyroscope, the list goes on and on …..
We also attended the meetings and worship, split into two groups, older and younger, and learnt more about what God can do in our lives and what difference God can make to our lives. 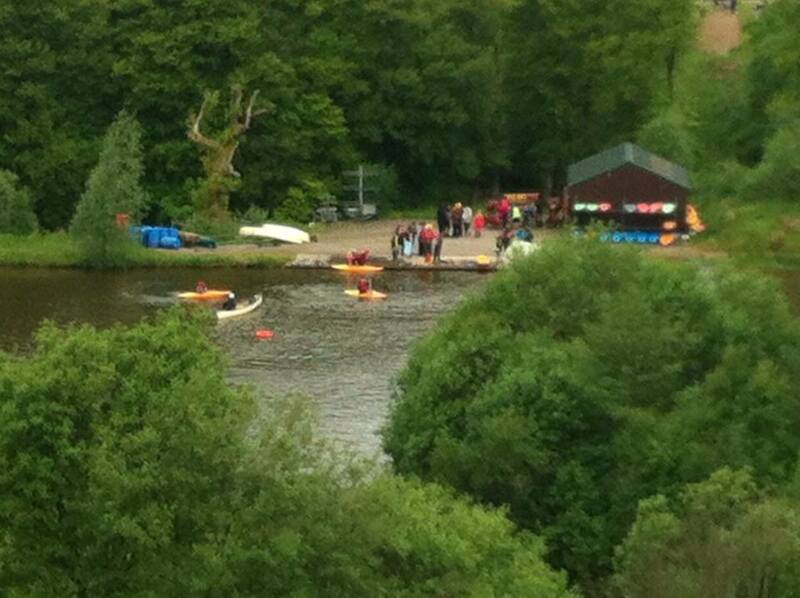 This weekend the Youth Group and Sunday School will be attending Spree in the Borders up at Whitaugh Park in Newcastleton. 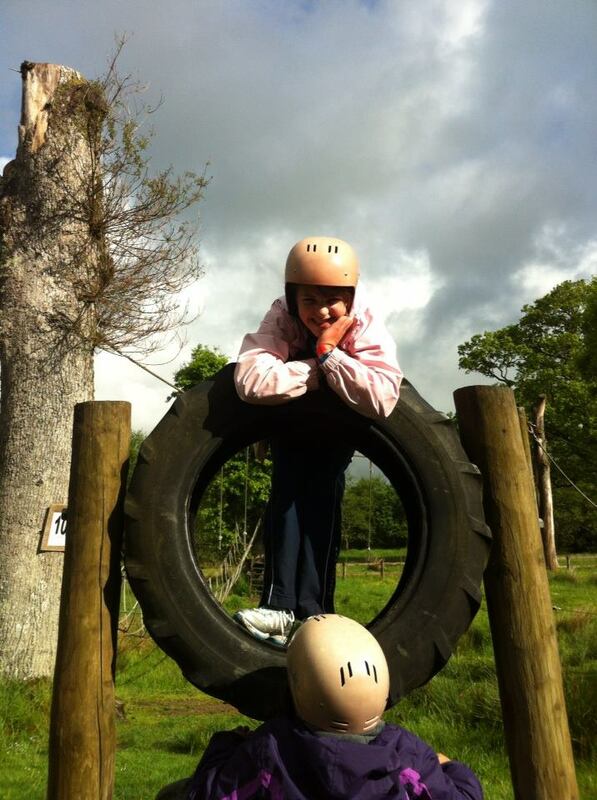 We are praying that the sunshine will come back and that all the youngsters will have a great time! Thank you to everyone who contributed in one way or another to the Annual Plant Sale last Saturday, 8th June, especially to Elaine and Alec Pryde and Sandi Farrer for organising all the plants, and to Marilyn Muir for facilitating the tea/coffee and cakes, it was all amazing! Don’t forget to come along to the plant sale in the Church this Saturday. There will be lots of plants to chose from to stock up the garden now that the sunny weather is here. Tea and coffee and homebaking will also be available.